Cyborg: Rebirth #1 cover art by Will Conrad and Ivan Nunes. As DC Universe’s fall arrival creeps ever closer, the streaming service is revealing more and more about its original programming—including Doom Patrol, which just cast an important character who’ll interact with “the world’s strangest heroes:” Cyborg. The Wrap reports The First Purge’s Joivan Wade will play Victor Stone, the half-human, half-machine character who DC live-action audiences will recognize from Justice League (though he’s played on the big screen by Ray Fisher). The Cyborg of Doom Patrol isn’t part of the titular team—that’s the not-yet-cast Robotman and Negative Man, plus Elasti-Girl (April Bowlby) and Crazy Jane (Diane Guerrero)—although his Teen Titans comrade Beast Boy had his origins with the quirky supergroup. 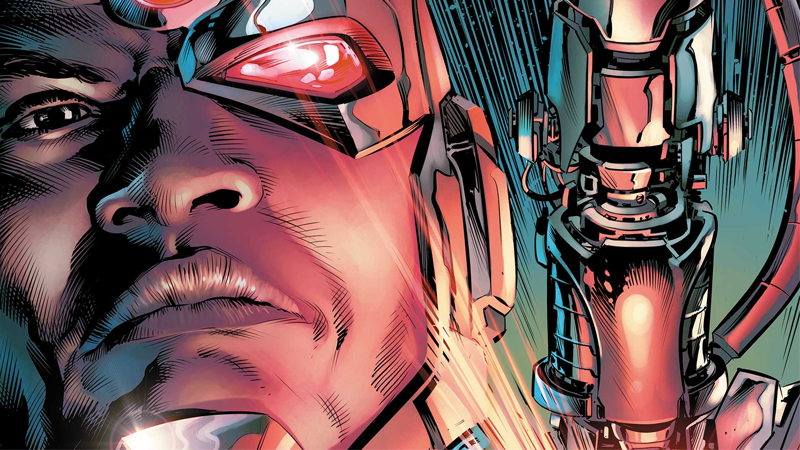 Cyborg will play a key role, enticing the superpowered team to take on a very important mission... which means this is another live-action version of Cyborg that doesn’t get to be the starring role just yet. But given the source material, there’s no doubt it’ll be something weird and wild, and we can’t wait to see how it plays out when the show airs next year.